Hey, let’s not forget about the tiniest members of the Oreo and Friends team! These little guys may come in smaller packages, but they can certainly compete with our bigger critters when it comes to the adorability factor! We like to think that our small furries have a little something for everyone! 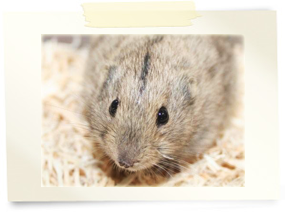 We have our slightly larger, more huggable furries, like the rabbits and the guinea pigs, which are easy to handle and also have the added bonus of being animals that most people are familiar with – they put people at ease, and are a comforting alternative to some of our more exotic animals. 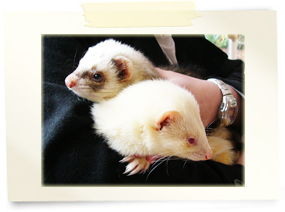 Or for something a teensy bit more exotic, we have our ferrets and skinny pigs – just as sweet, but a little bit different! On the other hand, we also have our extra tiny, more energetic furries. 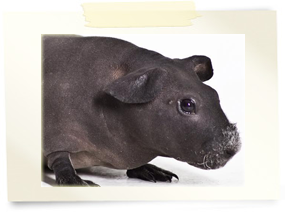 Our sweet little duprasis are tame and adorable, and are always up for a bite-sized cuddle! And while our lemmings aren’t really suitable for handling as they’re a little too small and fast to comfortably keep hold of, they’re still more than fascinating enough to be appreciated from afar! And you don’t have to worry about them making a run for the nearest cliff – that whole mass suicide thing is a common misconception! And for a little something in between, how about a Gambian pouched rat? Now these are something truly special. Did you know it’s been found that they can detect land mines and tuberculosis through scent alone? Many are professionally trained to do this and are called HeroRATS. These little guys really do save lives! All of our animals are precious to us, but it’s important not to let the bigger fuzzballs steal the limelight – Oreo’s tiniest friends have a lot to bring to our encounters too! And if you let them, our small furries will show you that mini really can be mighty!